Your company’s website has just been completed. It looks great, it’s easy to use, and it’s responsive. It represents your brand proudly and your marketing message is clear. So, what more could you possibly need? You need SEO or Search Engine Optimization. Your website can be one of the most unique and user-friendly sites on the internet, but if you’re not optimizing your site, you aren’t going to get the traffic needed to showcase your services and products. Search Engine Optimization is crucial to driving traffic to your website because you need your services and products to show up in search engines. If your site isn’t showing up in search engines, you aren’t going to see the traffic you need to get conversions and that’s where the SEO experts at Design & Promote come in. For over 10 years we have been providing effective SEO strategies for companies looking to increase their website traffic that leads to calls to action. 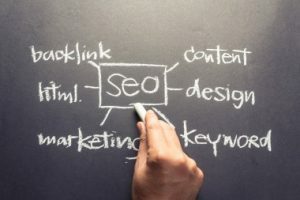 For more information on our SEO services in Warrenville or if you have any questions regarding our other services, call us today at 630.995.7109. You can also fill out the contact form located on this page and we will respond shortly. It is our job to get your business noticed. 75% of internet users never scroll past the first page of Google’s search results. Having a consistent SEO strategy based on keywords pertaining to your niche is a great start, but you also need to have quality content that is continually being updated. When you partner with the SEO experts at Design & Promote, we work with you to better understand your services in order to develop and implement an effective SEO strategy that will help get your website noticed. We provide extensive keyword research to ensure you are targeting keywords that see high volumes of search and are relevant to your services. If you are in need of SEO services in Warrenville or if you have any questions regarding our other services, call us today at 630.995.7109. Or simply fill out the contact form on this page and we will get back to you shortly.